Charlayy – Mass murderer Charles Manson plans to marry a 26-year-old woman who left her Midwestern home and spent the past nine years trying to help exonerate him. Afton Elaine Burton, the raven-haired bride-to-be, said she loves the man convicted in the notorious murders of seven people, including pregnant actress Sharon Tate. No date has been set, but a wedding coordinator has been assigned by the prison to handle the nuptials, and the couple has until early February to get married before they would have to reapply. Burton, who goes by the name “Star,” told the AP that she and Manson will be married next month. Well it’s nice to see mass murderers can find love too. I wonder what kind of bachelor party you throw for a guy like Charles Manson? He seems like he has very specific tastes. Murdery tastes, yes, but still specific. Also, how is this supposed to make single guys in their 20’s feel? Sorry guys, no one at the bar wants to go home with you BUT CHARLES MANSON IS GETTING MARRIED TO A 26 YEAR OLD NEXT MONTH. That’s just a knife to the balls. I’m not psychic, but maybe the authorities should start watching “Star” a little more closely. Anyone who voluntarily leaves home to marry Charles Manson has something up their deranged, psychotic sleeve. 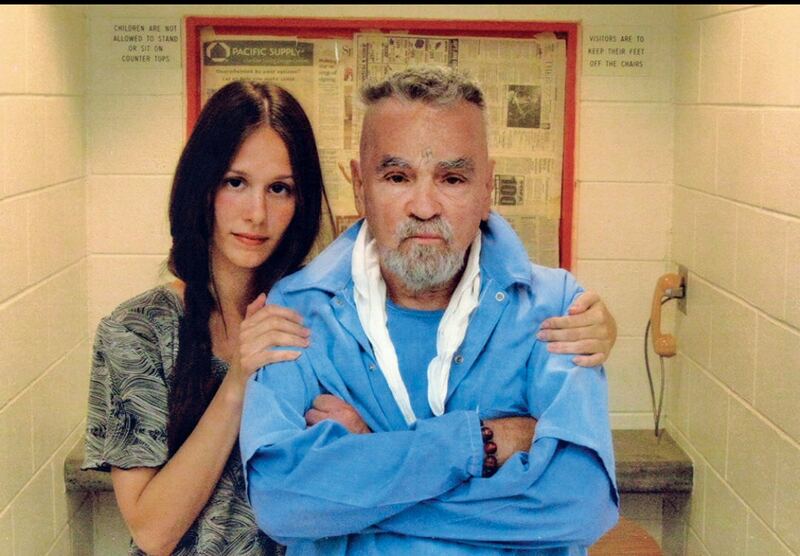 On a side note, Charles Manson is the healthiest looking 80 year old I’ve ever seen. It almost defies logic how healthy he looks. Just a confusing day overall. Posted on November 18, 2014, in Average Blog Posts and tagged afton elaine star burton, charles manson marriage. Bookmark the permalink. Leave a comment.